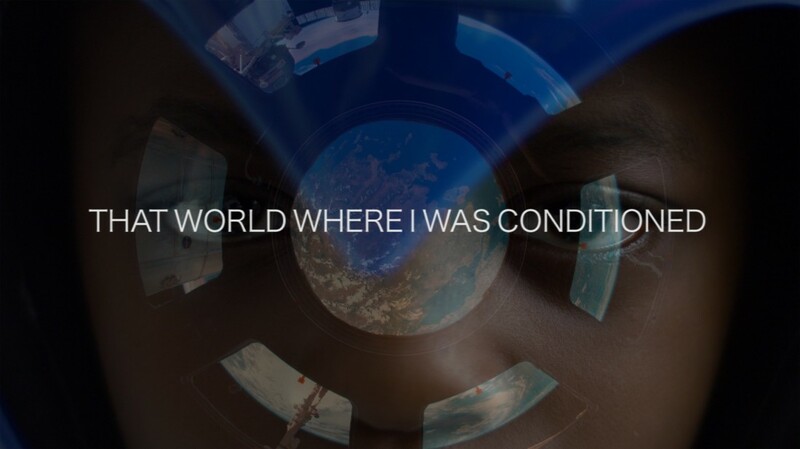 Larry Achiampong's solo and collaborative projects employ imagery, aural and visual archives, live performance and sound to explore ideas of cross-cultural and post-digital identity – in particular, dichotomies found within a world dominated by Facebook/tumblr/Wikipedia/YouTube-based cultures. With the enduring expansion and sharing of information via the Internet, the idea of a conservative version of history, as previously dictated, continues to be eradicated. At the heart of this phenomenon lies Achiampong’s increased interest in what new truths or versions become available, the multiple possibilities that are created and maintained in the digital realm and the consequences related to ‘IRL’ or ‘In Real Life’. Achiampong crate-digs the vaults of history, splicing audible and visual qualities of the personal and interpersonal archive-as-material - offering multiple dispositions that reveal the socio-political contradictions in contemporary society. Achiampong has exhibited, performed and presented projects within the UK and abroad including Tate Britain/Modern, London; Hauptbahnhof (dOCUMENTA 13), Kassel; The British Film Institute, London; Modern Art Oxford, Oxford; New Art Exchange, Nottingham; SAVVY Contemporary, Berlin; Bokoor African Popular Music Archives Foundation, Accra; and The Mistake Room, Los Angeles. He recently presented his debut international solo show titled #OPEN SEASON at Logan Center Exhibitions (Chicago). Achiampong has completed residencies at Tyneside Cinema (Newcastle), Praksis (Oslo), The British Library/Sound & Music (London), Wysing Arts Centre (Cambridge) and is currently artist in residence at Somerset House Studios (London). He is a current recipient of the Artist’s Bursary Scheme with Artsadmin (London). 'Ph03nix Rising', Live Performance, (2016). Image courtesy the artist.